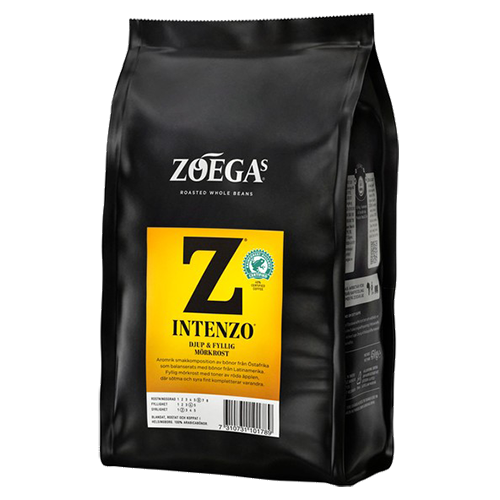 Zoégas Intenzo coffee beans grows on the sunny hillside in Guatemala and Costa Rica. and a conservative dark roasting. The coffee is a bit softer and the flavor is characterized by a richness and roundness. Zoégas Intenzo has a rich clean scent of black currant with hints of vanilla. green apples. Aftertaste is slightly bitter with liquorice prominent.